I already talked about this sweater on Instagram and I think by the time this blog will go live, it will sell out. Yes, it's that pretty! 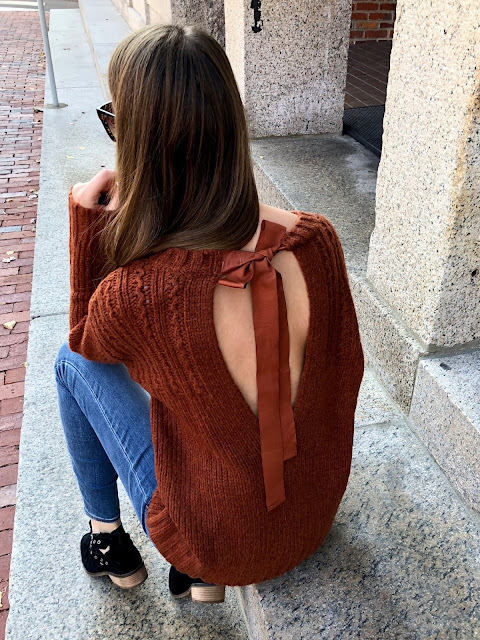 Personally, I like sweaters with a nice twist or open back and a bow like this one. If it's too much for you, wear it with a basic black top underneath, or a nice bralette. Whichever way you choose, it will look beautiful. I actually believe that it's a perfect holiday sweater. This sweater comes in three colors and advertised as a tunic, but it fits me like a sweater. I ordered it in S, but XS would fit better, so I recommend to size down. 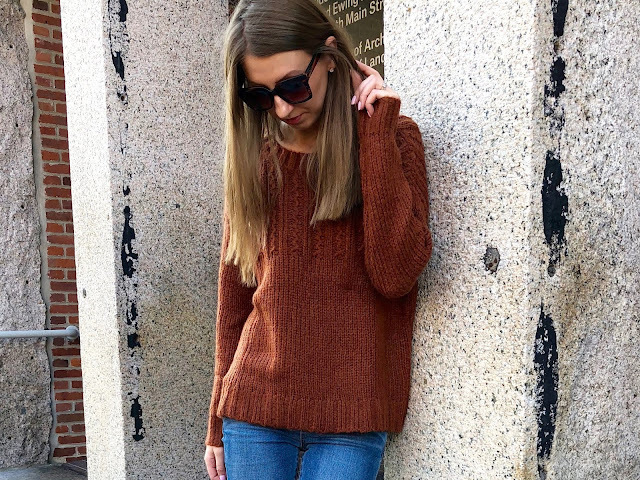 This sweater is 50 % off now which makes it under $25 ( of course I paid full price). My jeans are currently on sale too, and they are the comfiest jeans I owned. In case this sweater sold out I linked below other sweaters with open back.